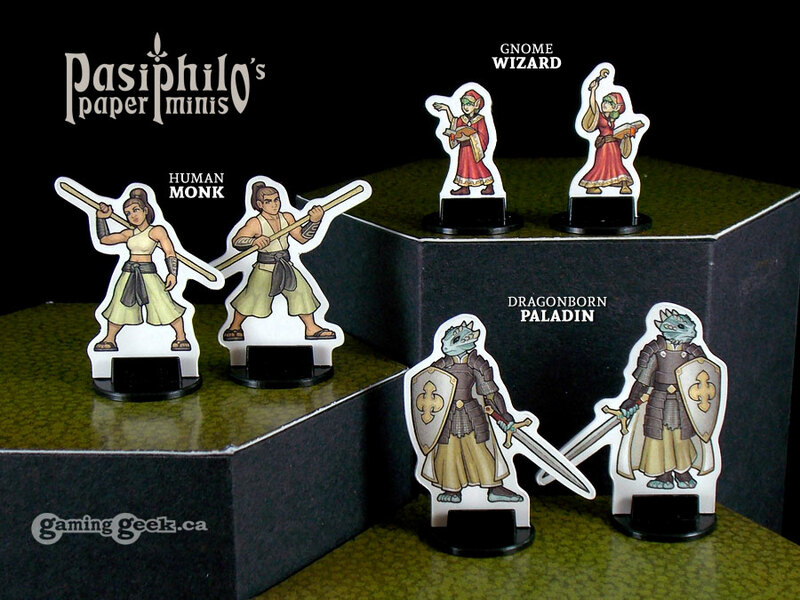 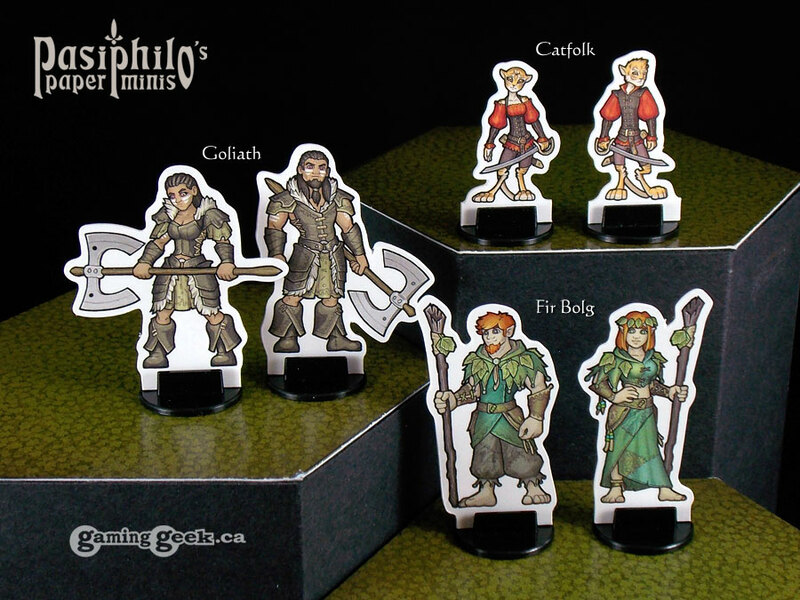 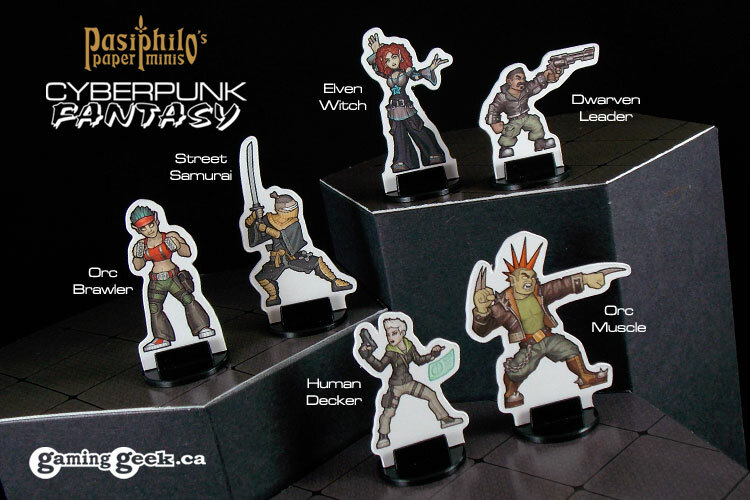 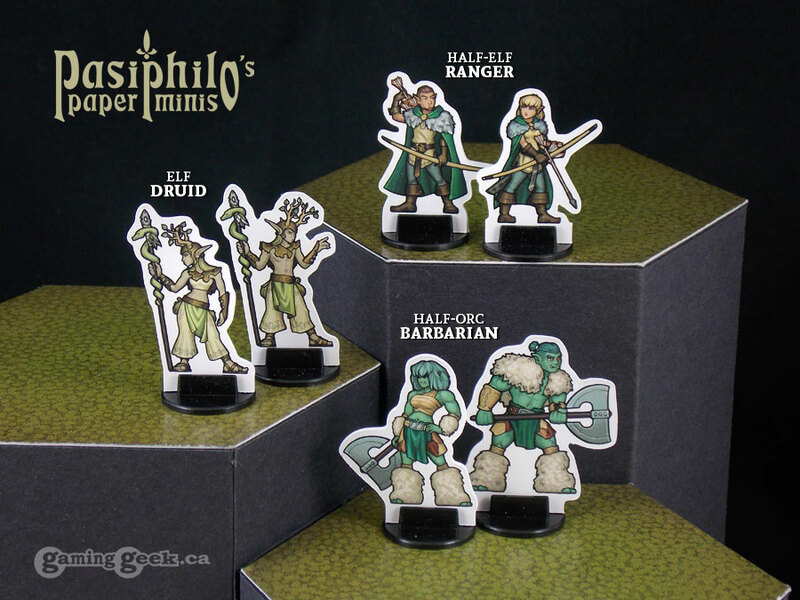 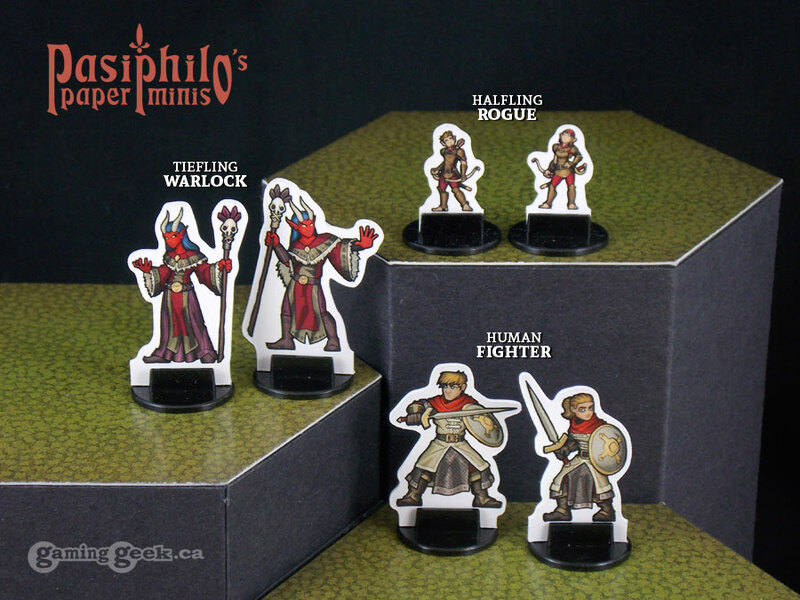 Pasiphilo’s Paper Minis are compatible with tabletop roleplaying games that make use of 28mm scale miniatures. 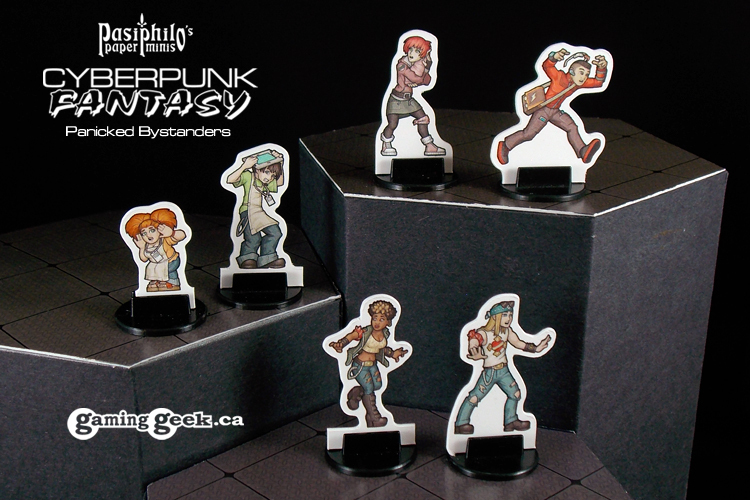 Each figure is printed on sturdy cardstock, double-sided with front and back artwork, and die-cut to shape. 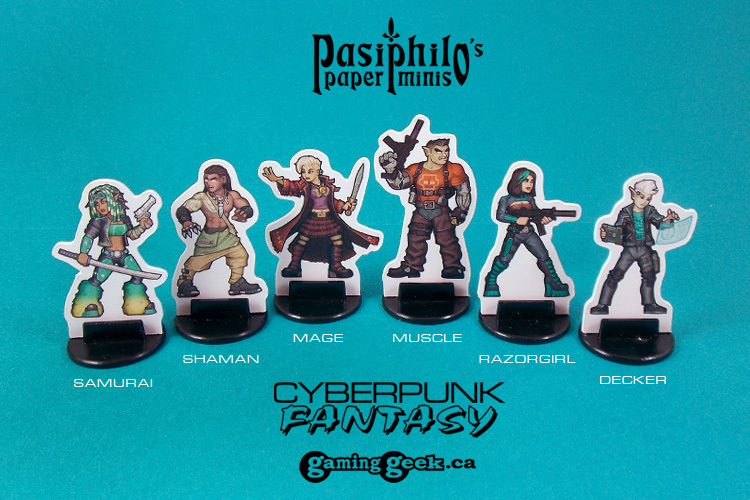 They’re more affordable than resin-cast minis, sturdier than print-it-yourself paper minis, and easier to setup than both. 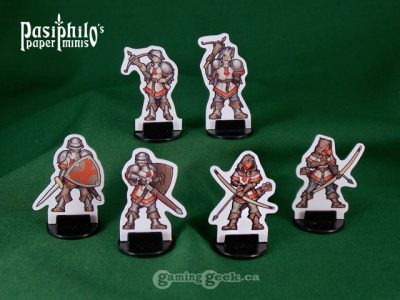 Just peel off the adhesive, fold and stick together, and mount to the slotted base provided. 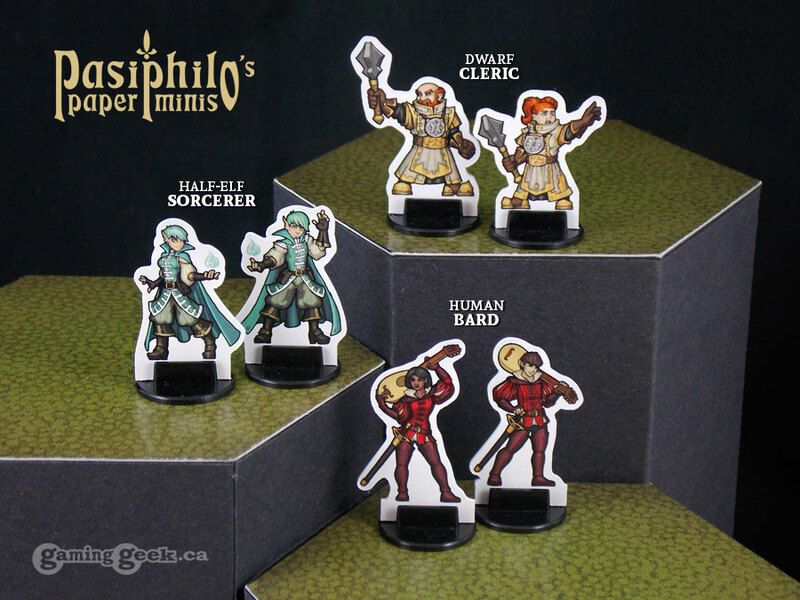 You’re battle-ready in minutes!